Happy Valentines day all! Earlier today Emma and I went for a stroll with the dog up to Baildon Moor. 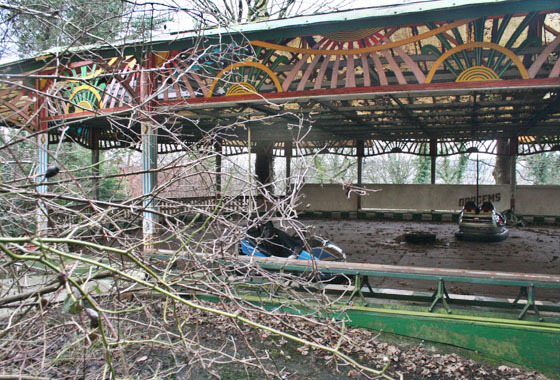 We’ve passed this abandoned dodgem place many times before, and today we had a camera with us and I couldn’t resist going in for a closer look! I’d love to find more places like this to shoot in the area, if anyone knows of any please let me know!